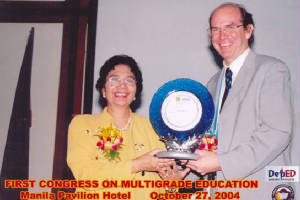 In March 2004, the Search for the Multigrade Grade Achiever for 2003 culminated in an awarding ceremony. Thirteen (13) multigrade teachers from the different regions were honored. One of them was adjudged the national winner and five others were proclaimed first, second, third, fourth and fifth runners up. The national winner received a trophy and cash prize of P20,000.00 and P10,000.00 respectively. The third, fourth and fifth runners-up received a plaque of recognition each. The schools of the 6 national finalists were given a plaque of recognition. With funding assistance from the Coca-cola Philippines Foundation, Inc. (CCFPI), a summer training for sixty-four (64) multigrade teachers and supervisors was held. 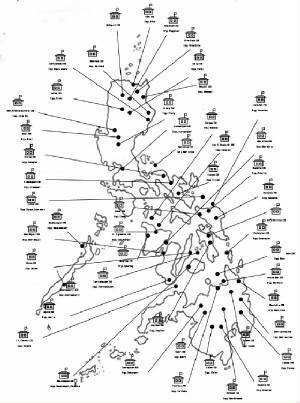 The activity was part of the Training Component of the Little Red School House Project, which the bureau had been implementing the past five years. Two hundred thirty-five (235) copies of the Training Video on Multigrade Instruction were reproduced and distributed to the divisions, regions and other offices in the central office. The Training Video on Multigrade Instruction is a documentary video on multigrade teaching practices. It serves as an orientation and in-service training material for multigrade teachers and school administrators as it features effective teaching strategies and other important information about the multigrade school. In consonance with the DepEd’s policy on improving access and quality of elementary education, the First Congress on Multigrade Education was held in October. The congress aimed to raise awareness of participants on the multigrade program in the Philippines and other countries; enhance their knowledge on effective instructional strategies and best practices to improve multigrade instruction; and share among themselves effective practices in managing and supervising multigrade schools. Three hundred fifty-one (351) multigrade coordinators, supervisors and teachers from the different regions attended the congress.